I have another brain teaser for Santa’s favorite kids. This time it’s a crossword puzzle. 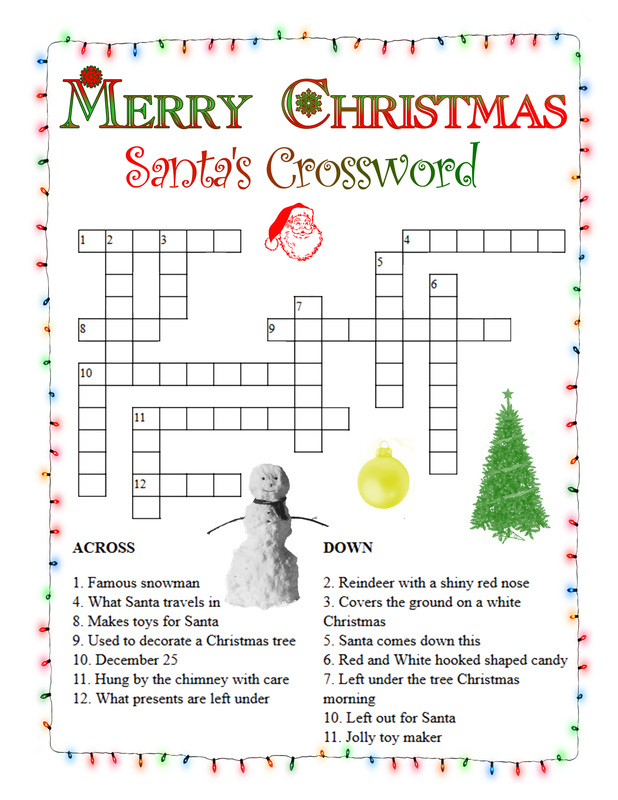 The puzzle uses words associated with Christmas. I think the boxes for the words look like paths through deep snow. We get lots of snow here at the Workshop. Us elves just love playing in the snow. We build snowelves, and go sledding, and have snowball fights. Do you ever play in the snow? Have your Mom or Dad help you print the crossword puzzle. They can click on a picture and it will open up in a new window and they can print it from with the browser or save it to your computer to print later.